Trees are frequently used as roosts by bats. This use varies in frequency and is very difficult to determine solely from the ground, the traditional approach. Therefore the felling of trees (and sometimes pruning operations) should routinely involve the assessment of trees in order to prevent a breach (however unintentional) of the legislation. 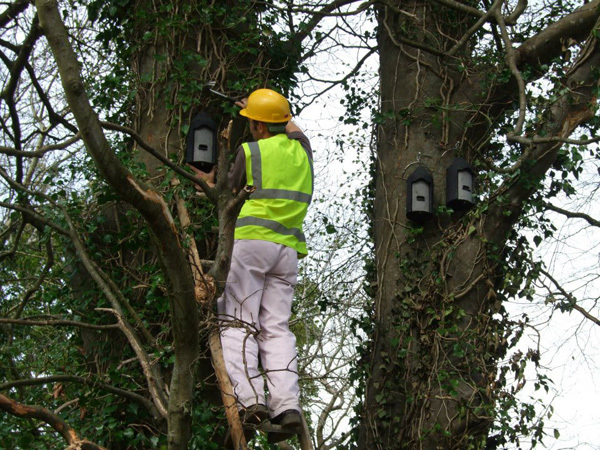 Assessment of trees should involve a ground based inspection, followed if necessary by climbing the tree to get further detail. 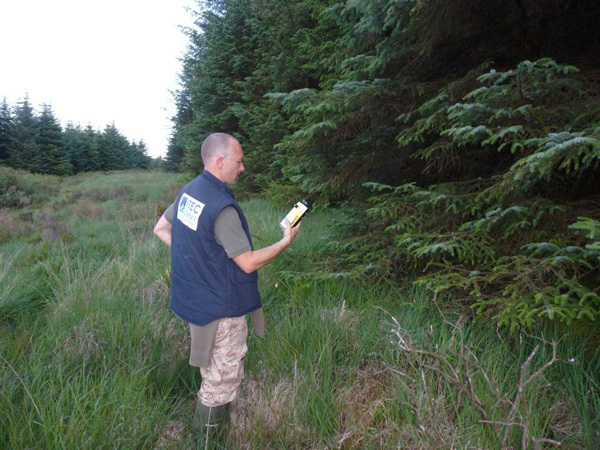 It may be necessary to carry out emergence and dawn return surveys, particularly immediately prior to felling. Carrying out a climbing survey is sometimes the only way to ensure adherence to the legislation. The climbing survey may determine that there is no requirement for emergence and dawn return surveys which might otherwise be necessary.